Each successive leg is run in sequence. Typically, there are three legs and the running order is determined between the team beforehand. Some runners have a clear preference of what leg they like to run, usually a love/hate of either the 1st (which has a glut of runners departing at the same time) and last leg (when the field is broken up). There is always only one runner out at a time. This format is seen at Bristol OC's Adams Avery Relays and the JK Relays. All team members run simultaneously; there is none of the usual waiting around for a previous leg runner to come in, in a Harris relay. The course is split into two parts – a set of ‘spine’ controls which all team members must visit, and a number of other controls which must be visited by at least one team member. The team dibs the start control, and is then issued with a map for each member. The spine is marked as a normal linear course, though the controls can be visited in any order, and the other controls are simply shown as for a score course. The team decides who will visit each of the other controls, as well, of course, as also visiting all the spine controls, and then all runners set off. The team’s time is taken from the earliest start dib to the last member’s finish dib. Time penalties, which could be as much as 10 minutes per control, are added for any spine control missed by any team member, and any other control not visited by anyone in the team. e.g. 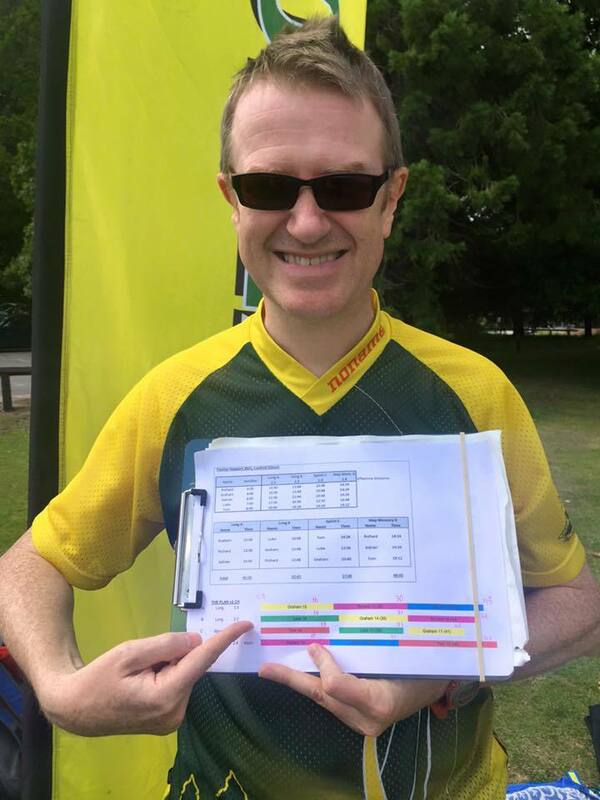 three team members, given two maps or five members with four maps. 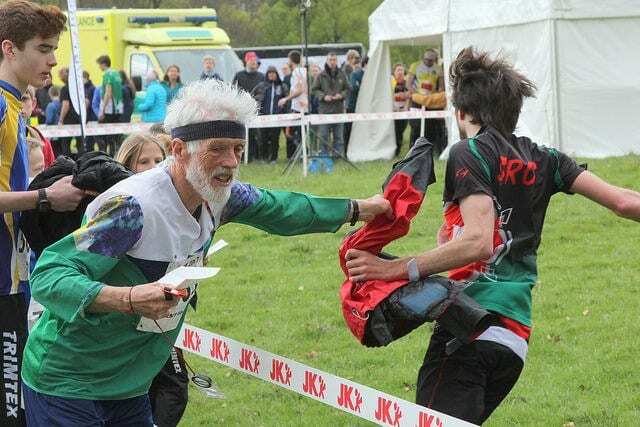 There will always a runner back at base recovering and hopefully all other runners will be out (running) at any one time. 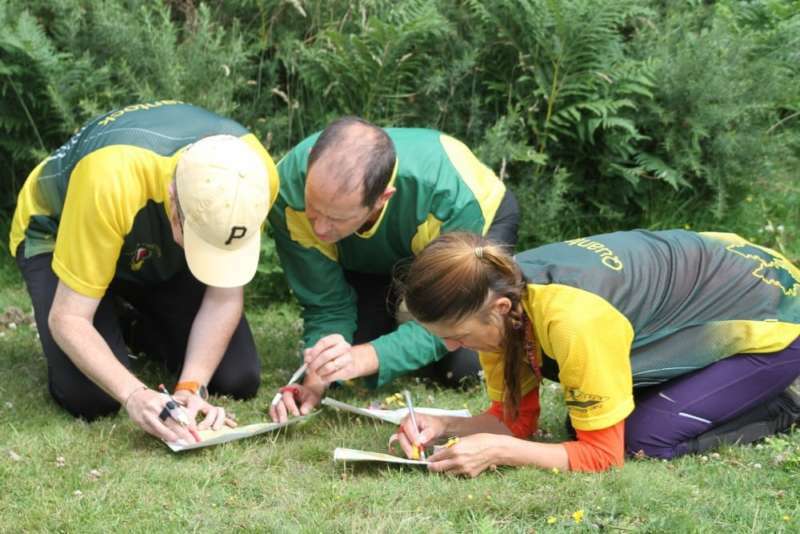 The aim is to have everyone out running at any one time, if possible, with the only thing remaining at base being the spare map(s) and dibber(s)! Dibbers are usually allocated to each map, sometimes tied on with a string. The legs might variously consist of a standard linear course, be it through the forest, open area or urban environment. There might be a memory map course (you usually just need to remember the next leg) or a score course (visit all controls in no set order). Legs needs to be planned carefully around the ability and fitness or each runner. 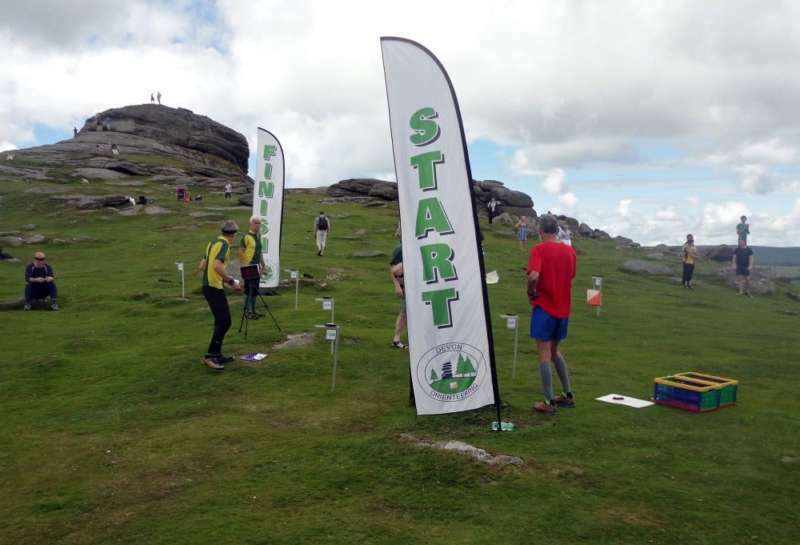 At Devon's relays at Haytor in 2016, each map might had a few mini-score courses on it. Some venues lend themselves to cross country, some urban and some a mixture of both.